With the broadest range of products for clinical workflows, our sample collection, transport, and storage plasticware provide high quality and reliability to protect your samples and your staff. NEW: Thermo Scientific™ Samco™ Clicktainer™ Vials. The Click Seal System allows correct cap application the first time providing excellent sample protection and user safety. Samco™ specimen containers include the new Clicktainer™ specimen containers, Bio-Tite specimen containers, 24 hour urine collection containers, operating room containers, pathology and general purpose containers, analyzer and sample cups, test tubes, disposable culture tubes and centrifuge tubes. Thermo Scientific™ Capitol Vials for sample collection, storage, and transport. Its unique 'QuickStart' Cap makes the Sterilin 30mL Polypropylene Universal Container ideal for applications where safety is a concern, as when handling valuable or potentially hazardous samples. The broad range of Thermo Scientific™ containers for sample collection, transport and storage provides quality, reliability and user safety in these single-use laboratory plastics. Regardless of your application, we have a solution to suit your needs. Prepare samples in hospital environments, food science, or the pharmaceutical industry with Thermo Scientific™ Nunc™ Petri Dishes. They're available with a molded grid and perform well in automatic dispensers due to complete flatness and uniform height. Designed and manufactured for tough applications under rigorous laboratory conditions. Plastic and glass general purpose storage tubes; disposable plastic, immunology and plastic drying tubes available. Prevent cross-contamination to samples and reduce airborne contamination to personnel. Transfer pipettes provide dependable, repeatable performance in your research. 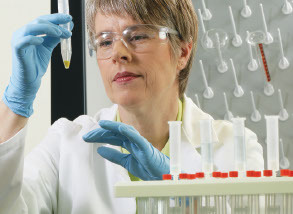 Sterilin consumables are a key component of our laboratory plasticware, glassware, and supplies portfolio. Products and services help accelerate the pace of scientific discovery, and solve analytical challenges ranging from complex research to routine testing to field applications. Reliability of Nunc™ IVF products is ensured through our extensive quality control processes, allowing us to meet our stringent quality requirements. Affinity captures technology for clinical research. Ready-to-use MSIA microcolumns are coated with target-specific affinity ligand to capture low abundant target analytes from even the most complex biological samples..
Versatile solutions for food processing and safety, environmental sampling, and other general applications. Designed for solid reliability and quiet operation, our comprehensive range of clinical solutions (certified for in vitro diagnostic use) fit in your lab with their compact footprints with throughput from 1.5mL to 50mL sample tubes, microplates and 10mL syringes. For effective, efficient preparation and processing of clinical samples, see this comprehensive range of centrifuges and rotors in action or download our application note.